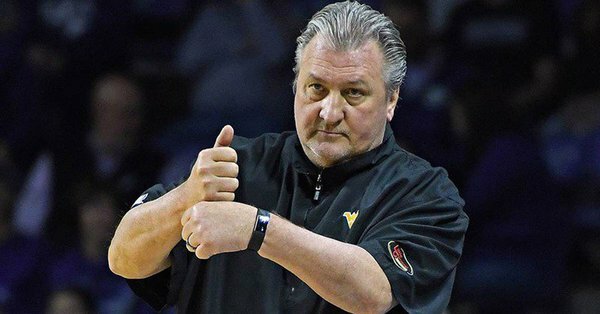 After an embarrassing loss at Texas Tech, there are a couple of things that West Virginia basketball fans need to accept: this season is over and we will never see Sagaba Konate in a WVU uniform again. With those things considered, let’s look ahead to next year’s lineup. PG James “Beetle” Bolden (Senior) – Beetle must stay healthy to redeem himself in his Senior season. He will be hungry and will likely step up as the team leader next year. SF Lamont West (Senior) – A very capable scorer and shooter, West should be the offensive player that Coach Huggins can count on next year when he needs big points. PF Oscar Tshiebwe (Freshman) – Bob Huggins’ second highest rated recruit at West Virginia, he will be expected to step right into the starting lineup. Tshiebwe and Culver should make up one of the best young frontcourts in the Big 12. C Derek Culver (Sophomore) – Culver could potentially average a double-double next year. An absolute rebounding beast, he must continue to work on his post game to be a more consistent scorer. Key Losses: 1.) Esa Ahmad. Is he really a “key” loss? 2.) Sagaba Konate. Sags will attempt to play in the NBA but will likely end up overseas; an extraordinarily disappointing end to his Mountaineer career. Potential Transfers: Brandon Knapper, Emmitt Matthews, Jr. Neither player can be happy with their Freshman seasons at WVU. Both players are very talented and could look elsewhere for a fresh start. Shooting is a glaring weakness with this team. To be successful next year, Coach Huggins must add a Junior College player (or two) that can shoot to round out this group. See: James Reese from Odessa College (47% 3PT, 89.9% FT, 16.4 PPG) and Atticus Taylor from Southwest Mississippi. Without more consistent shooting, next year’s team will suffer a very similar fate as this year’s team.